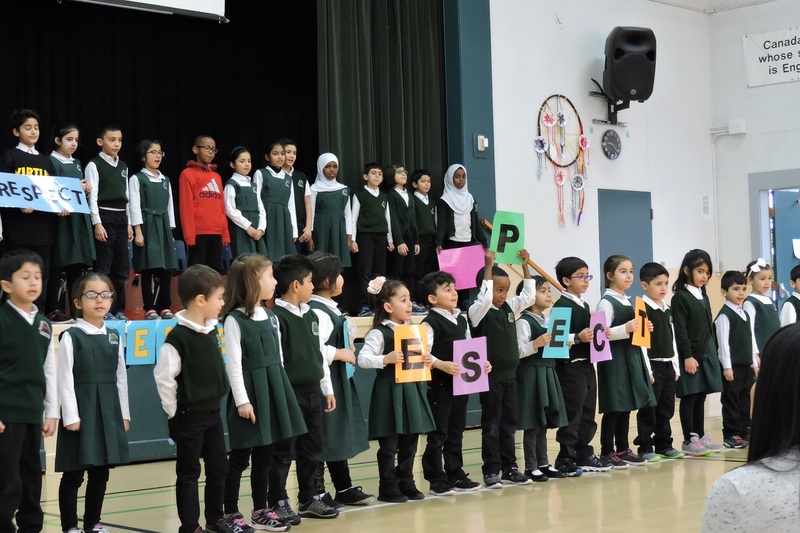 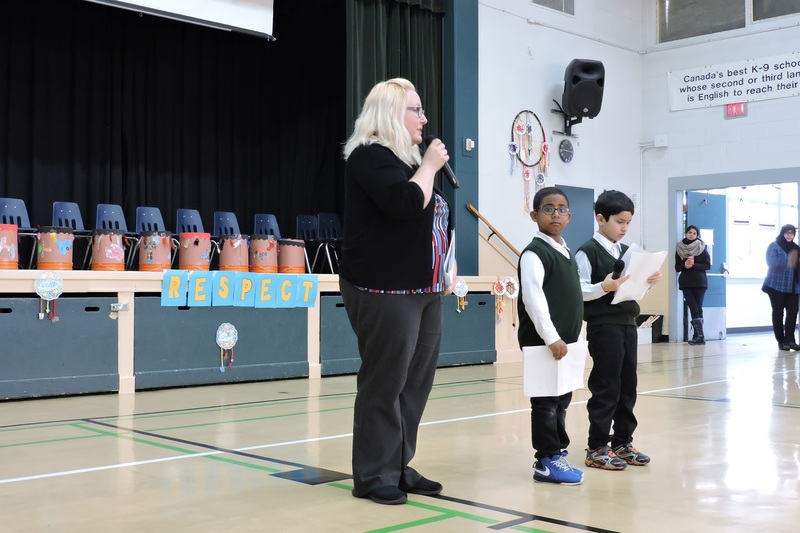 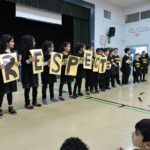 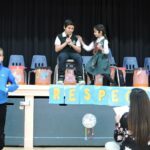 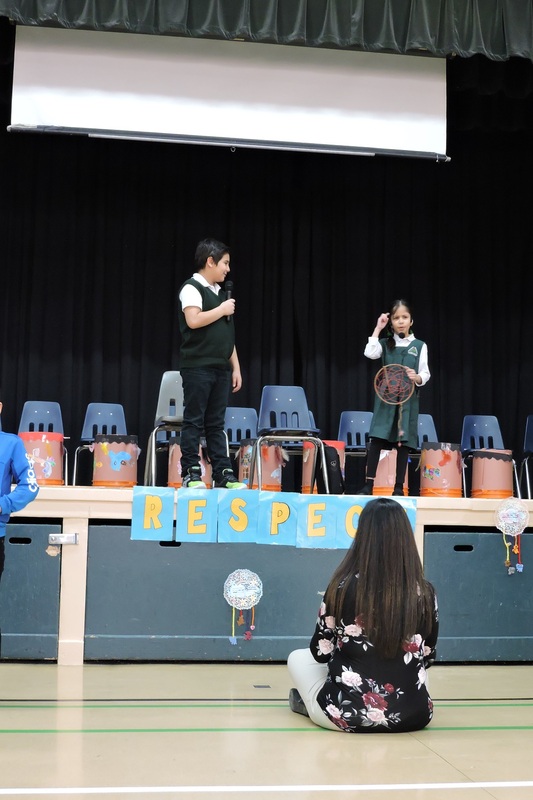 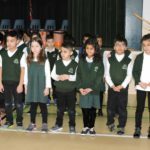 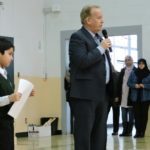 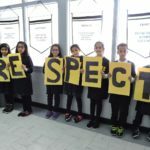 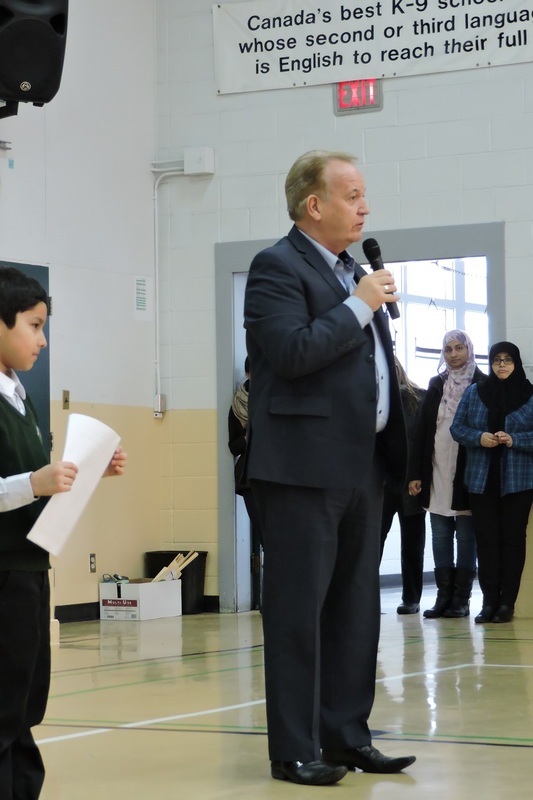 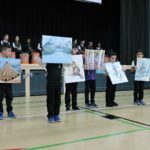 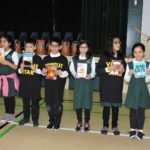 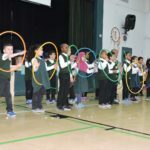 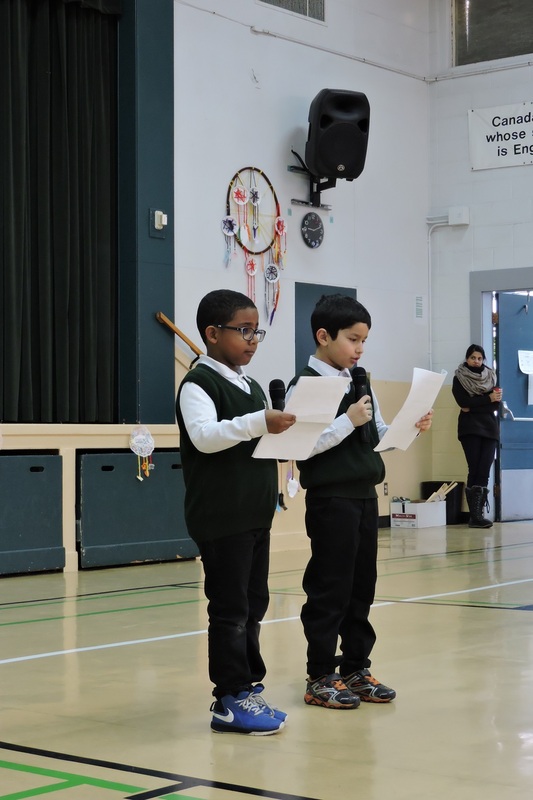 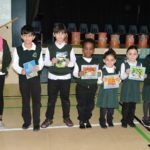 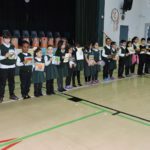 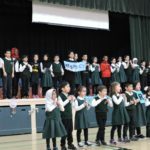 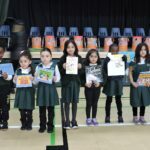 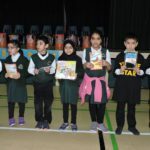 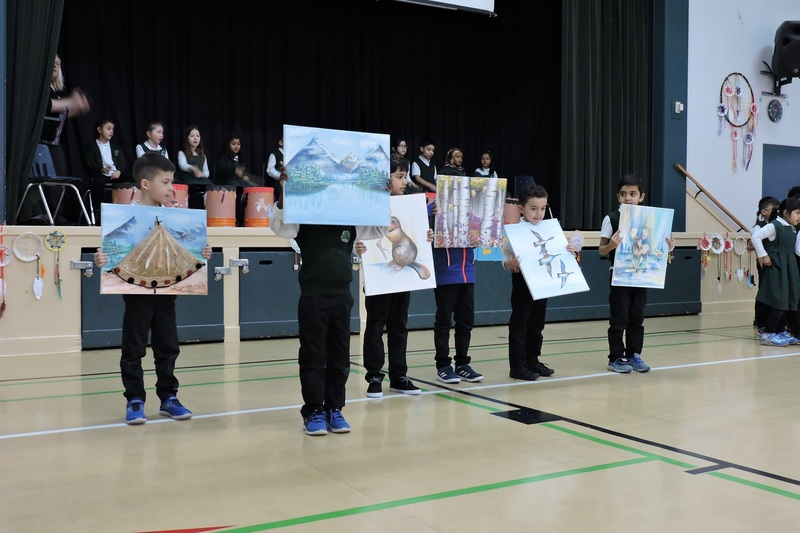 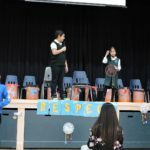 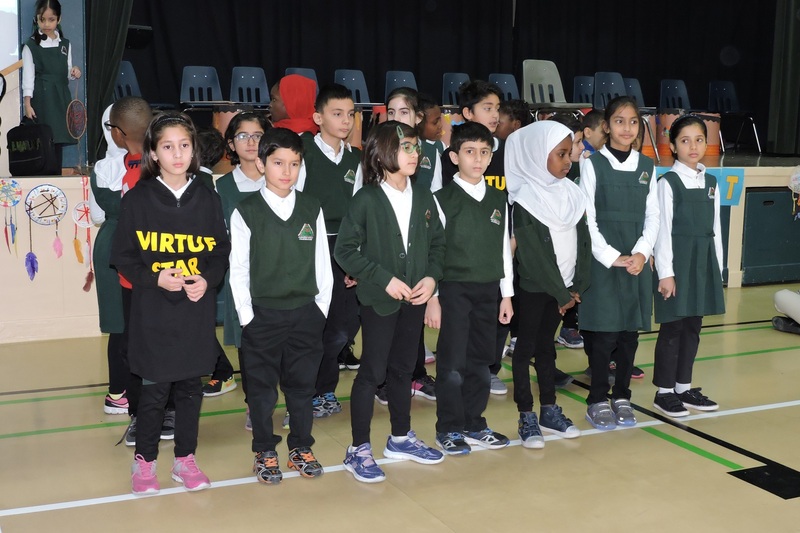 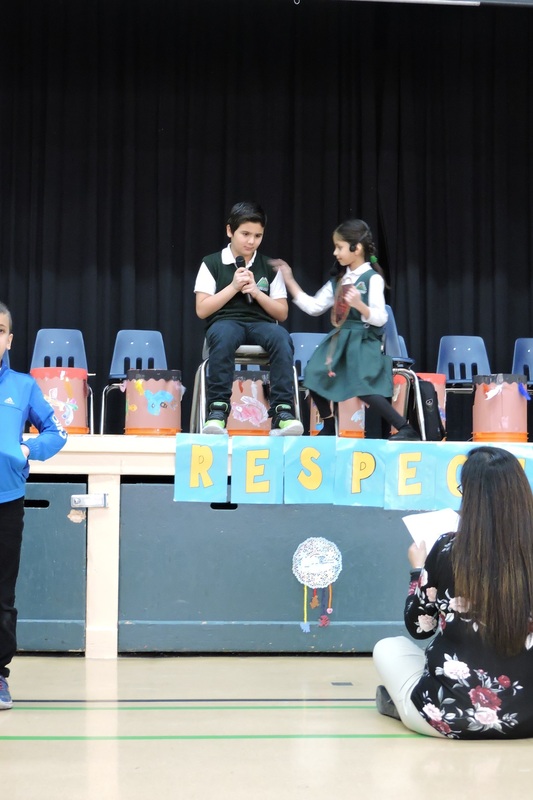 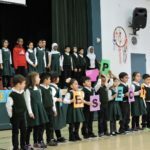 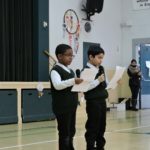 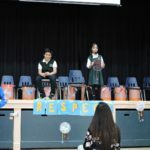 On February 13th, 2018, students, staff and parents at Almadina attended the Respect Virtue Assembly. 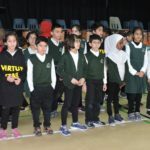 The Virtue Stars welcomed everyone with an energizing Respect introduction. 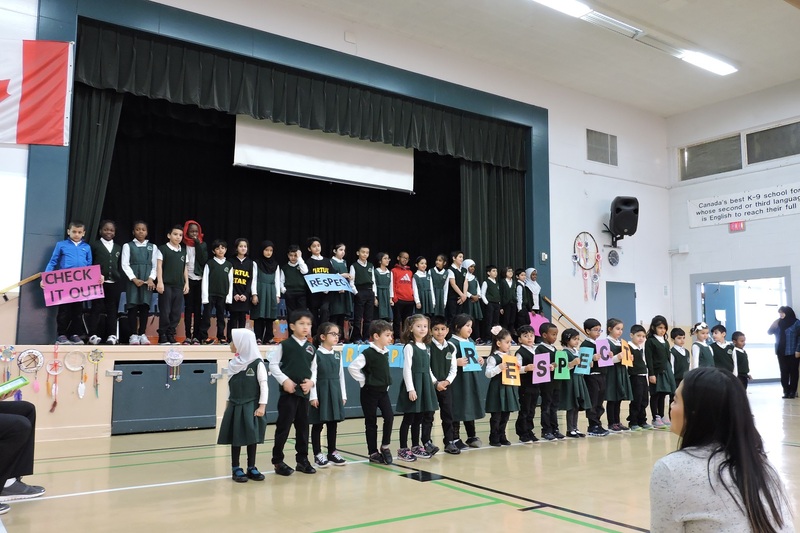 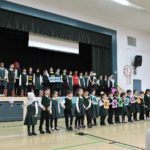 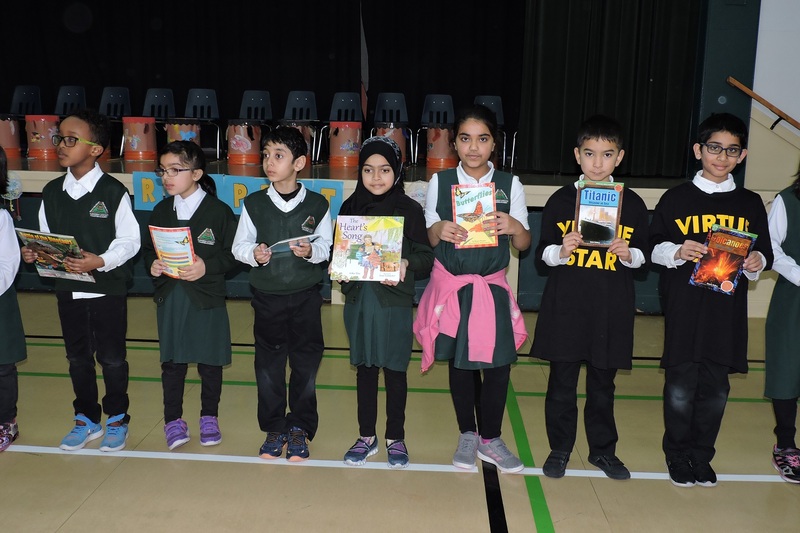 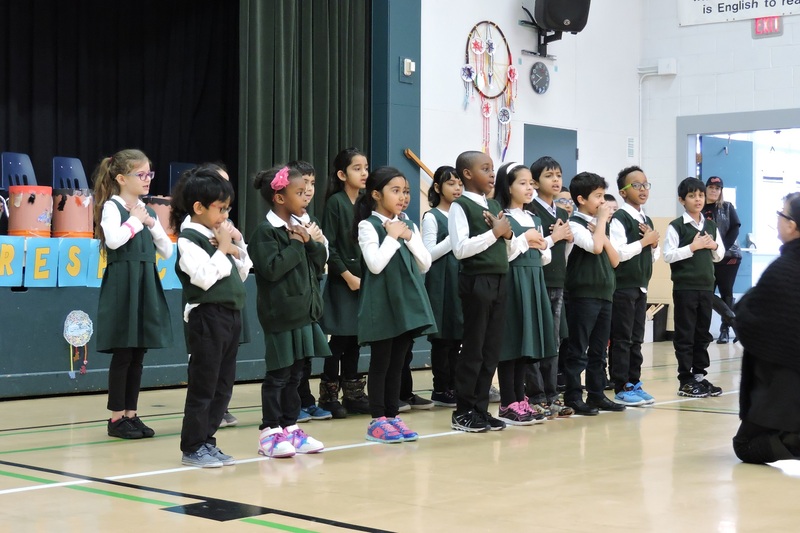 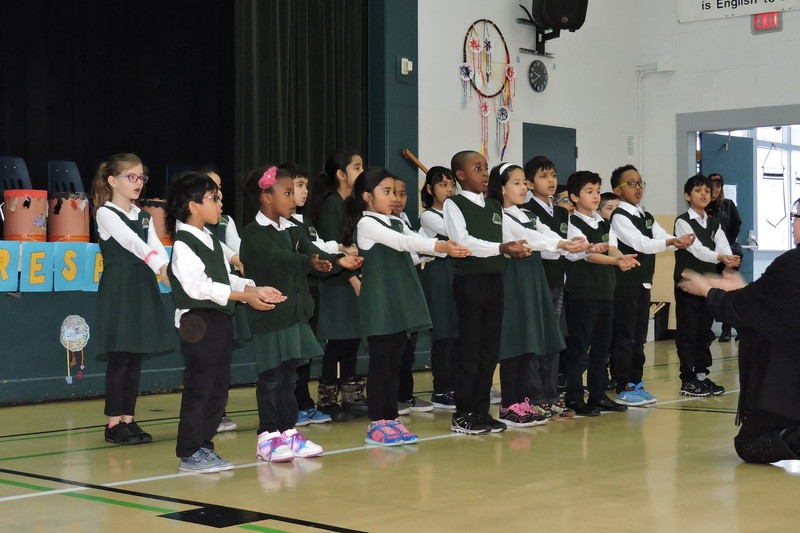 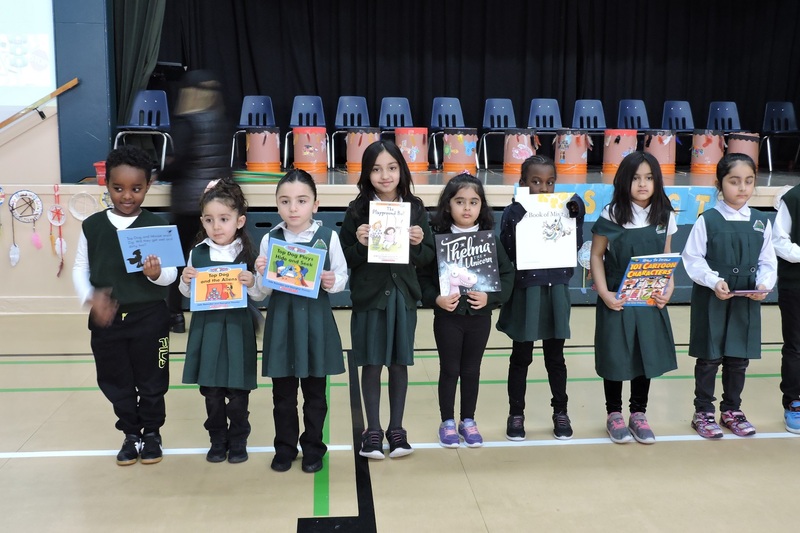 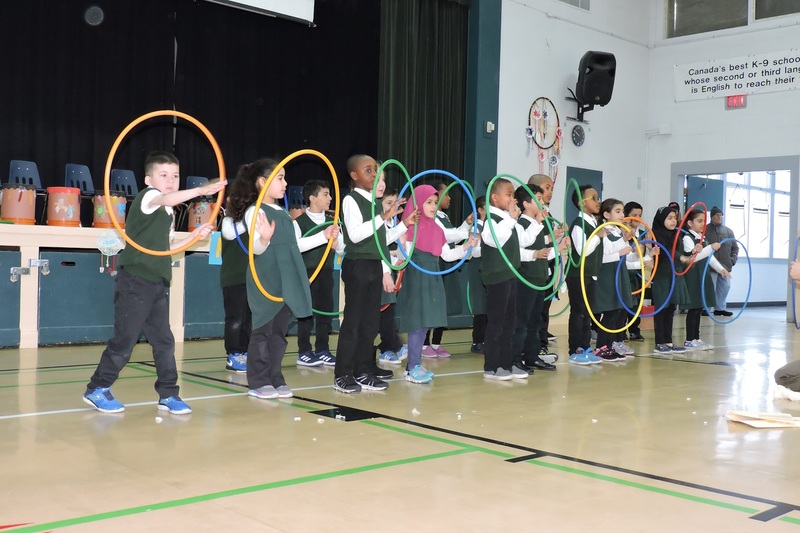 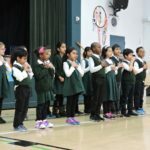 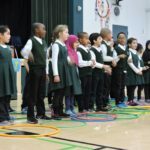 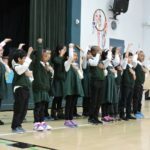 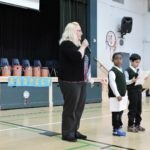 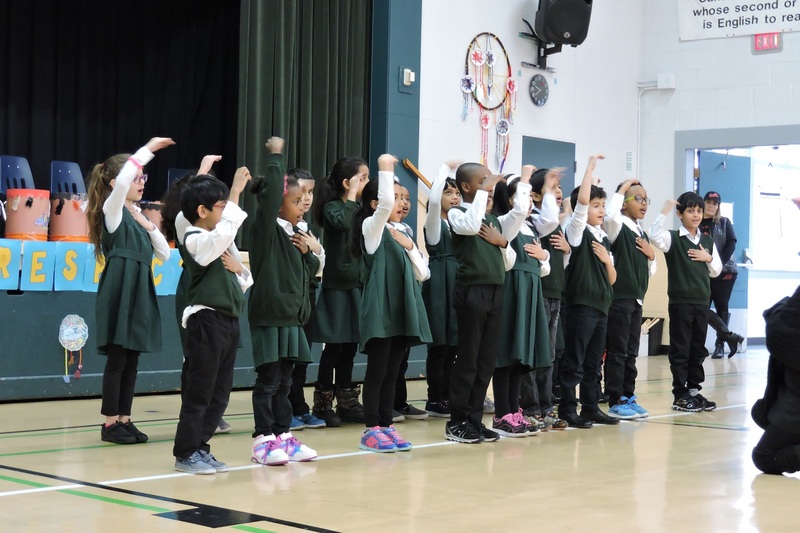 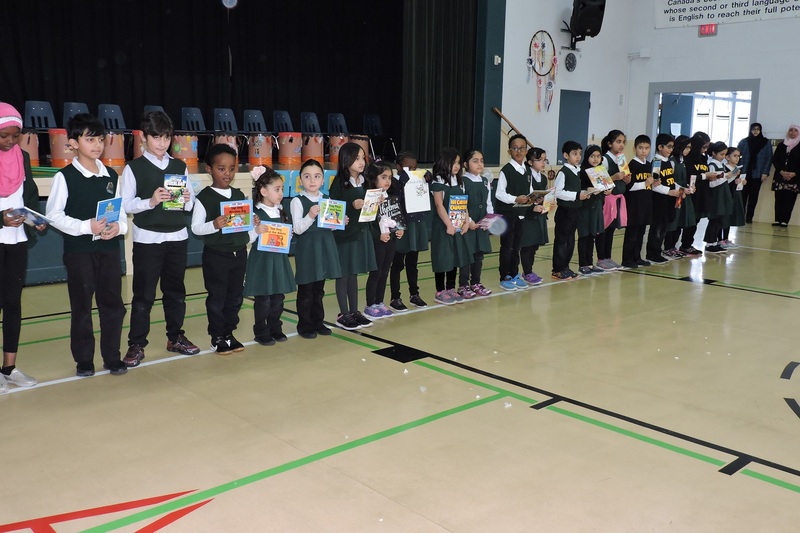 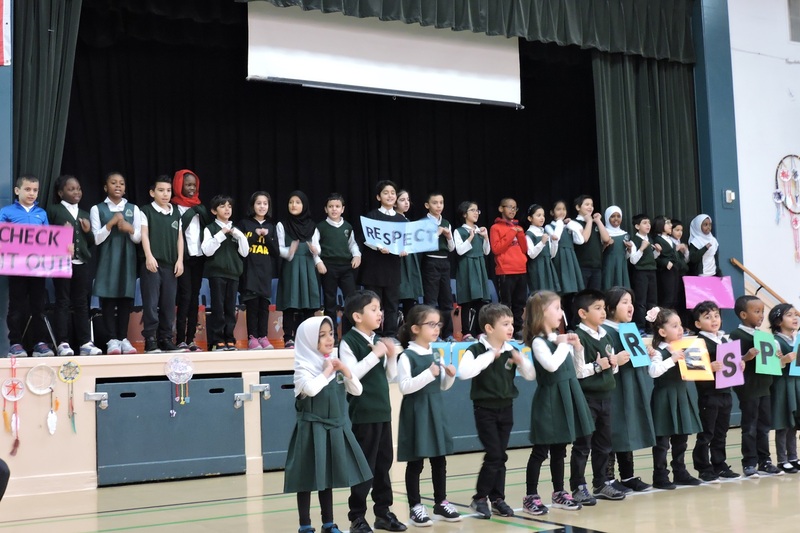 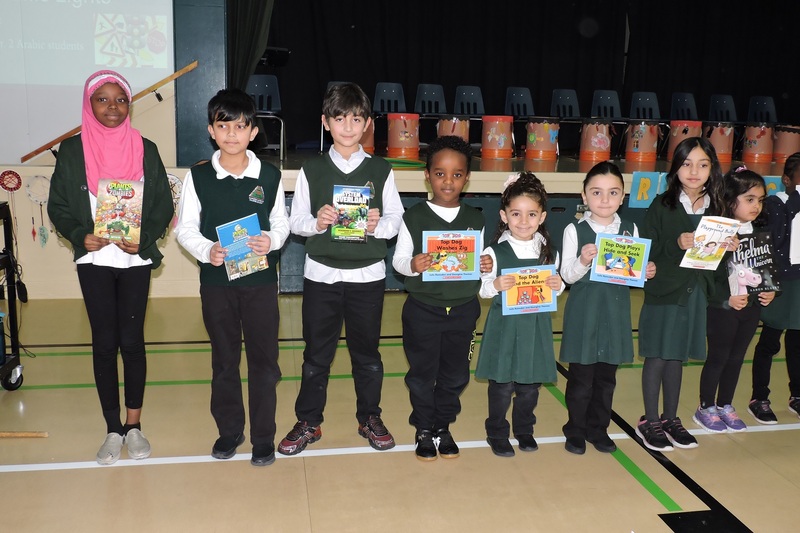 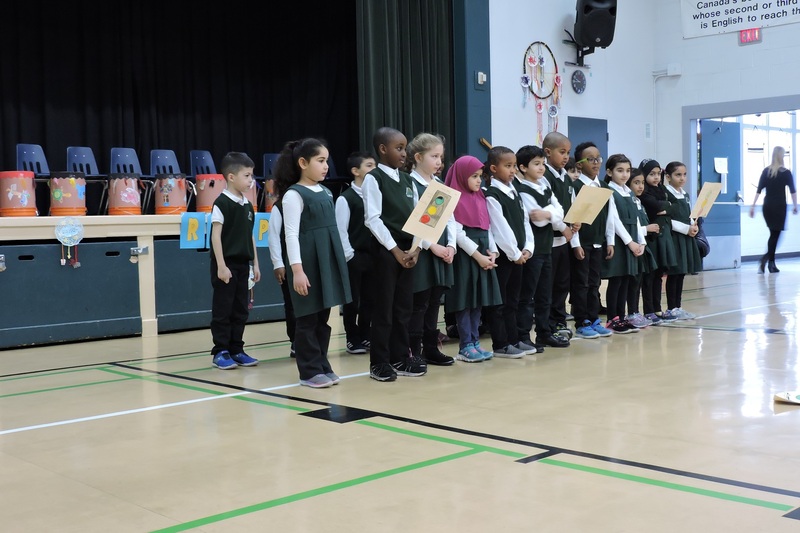 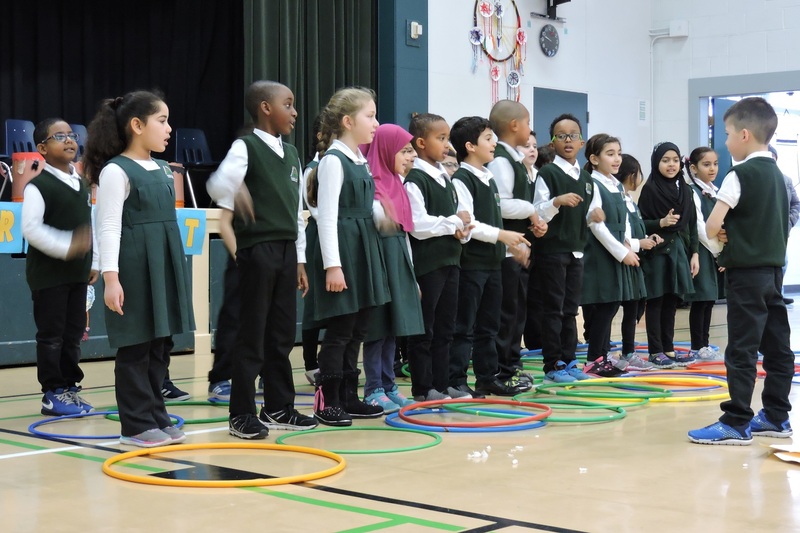 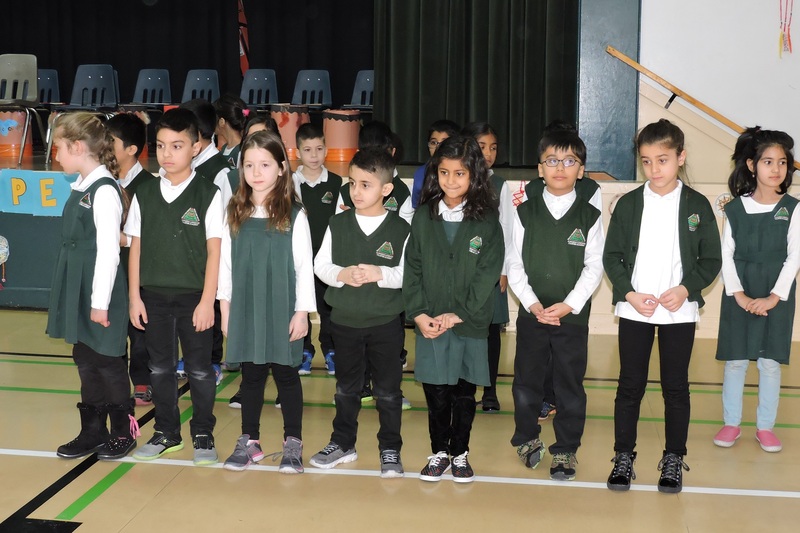 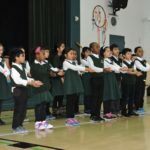 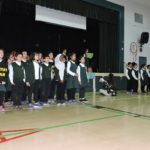 Then Mrs. Chambers’ Grade 3 class and Mrs. Mahmood’s ECS class performed their upbeat song, “Check It Out- It’s All About Respect.” After, Mrs. Bhaidani’s Grade 2 class and Mrs. Chambers’ class gave a moving performance with their skit on Stolen Words. 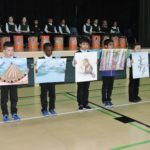 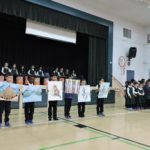 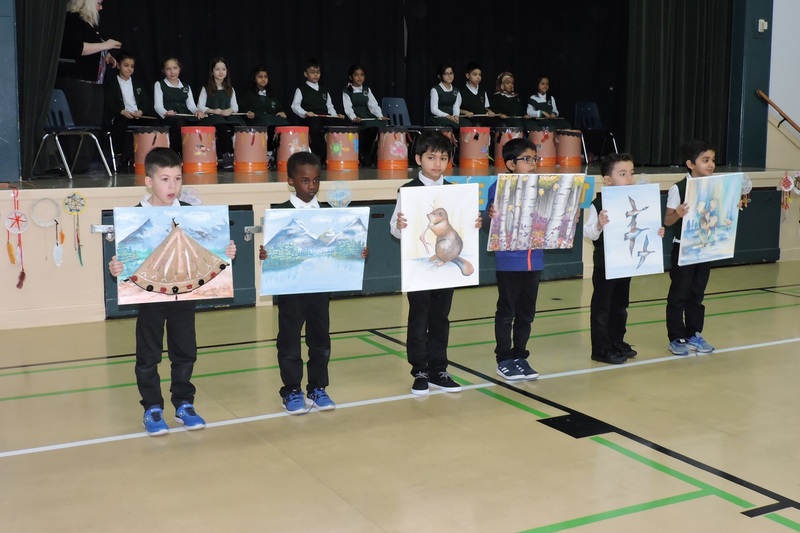 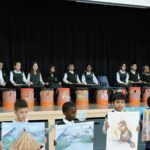 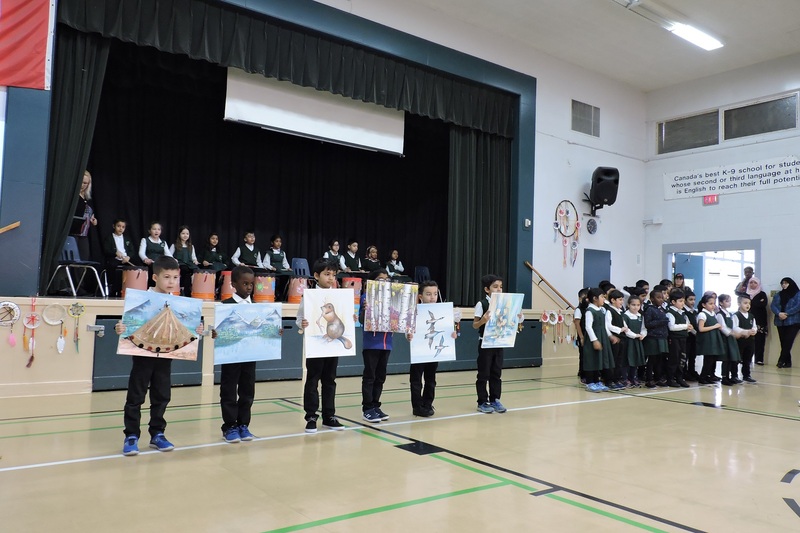 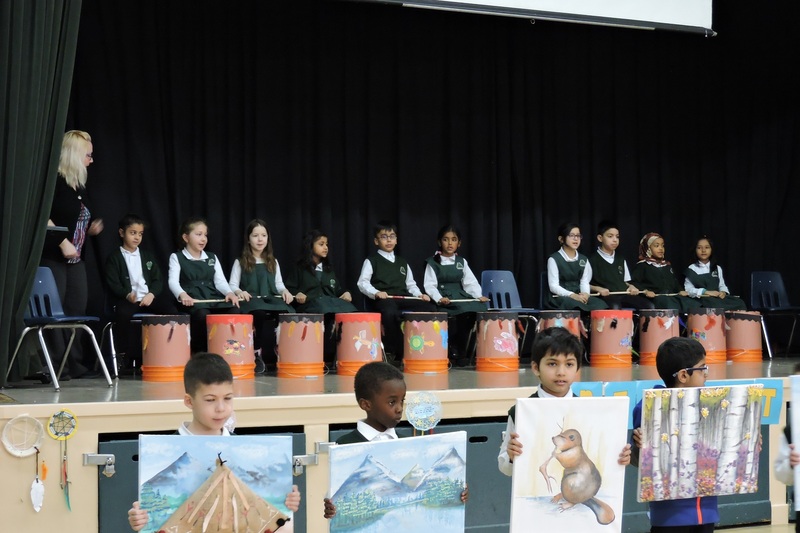 Mrs. Yanofsky’s Grade 1 class and Mrs. Bhaidani’s class also drummed and sang the beautiful song “My Paddle’s Keen and Bright” while displaying beautiful First Nations art work. 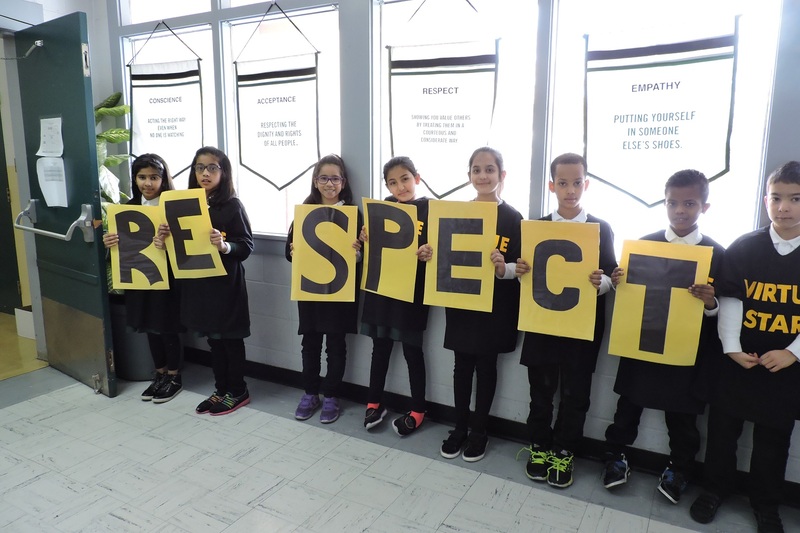 Later, Mrs. Dassouki’s Grade 2 class sang and amazing song about Respect. 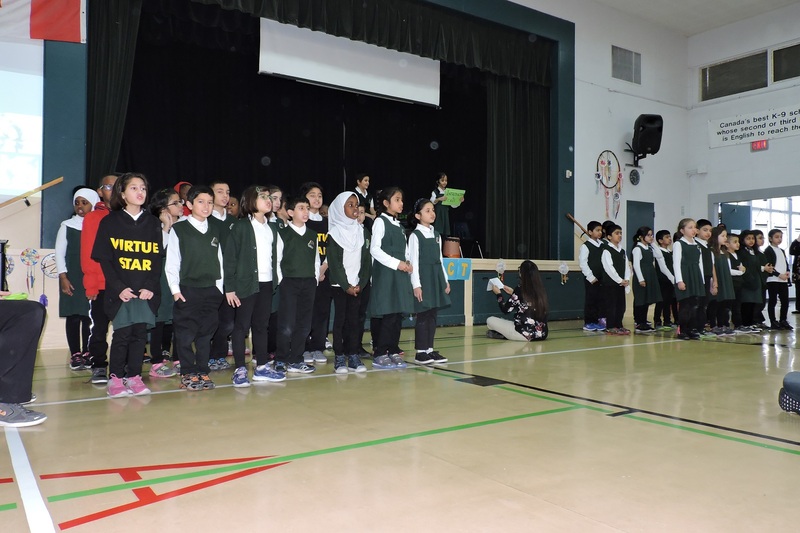 Finally, Mr. Kadri’s Arabic class sang an informative song about Respecting the Traffic Lights to finish off the assembly. 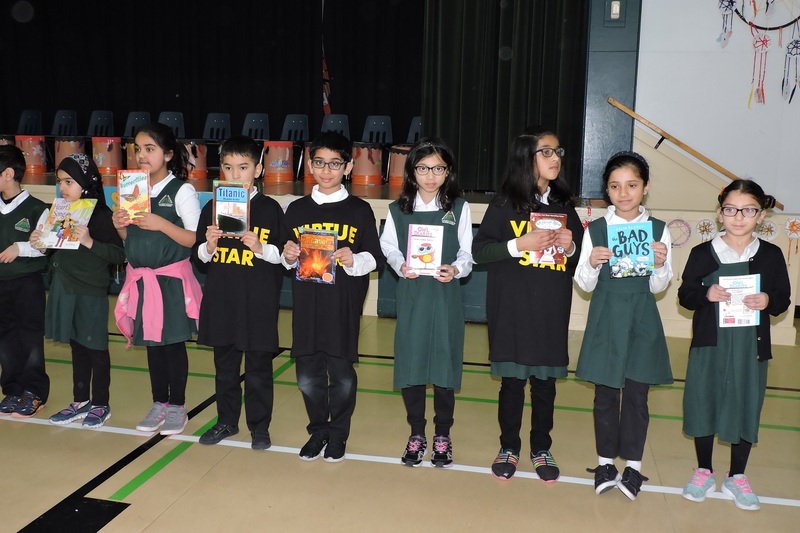 After, the Respect Virtue Coupon Winners were announced. 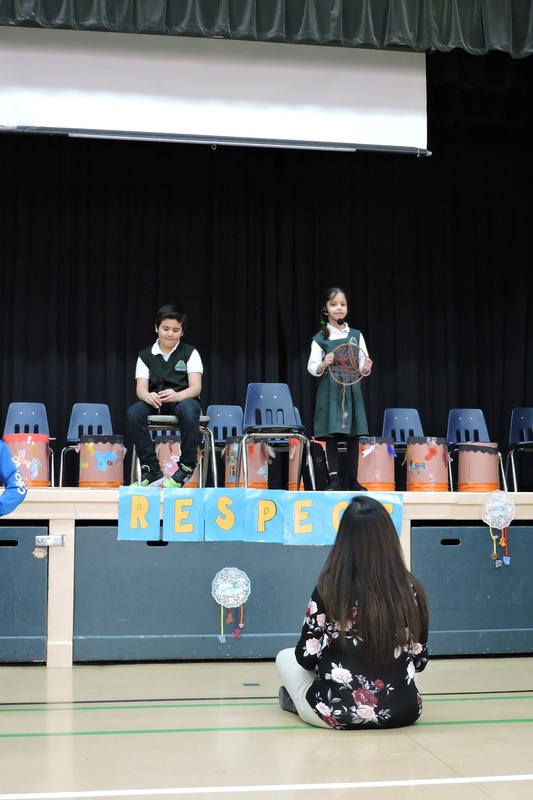 The audience left the assembly with more respect and knowledge of the First Nations culture and traditions! 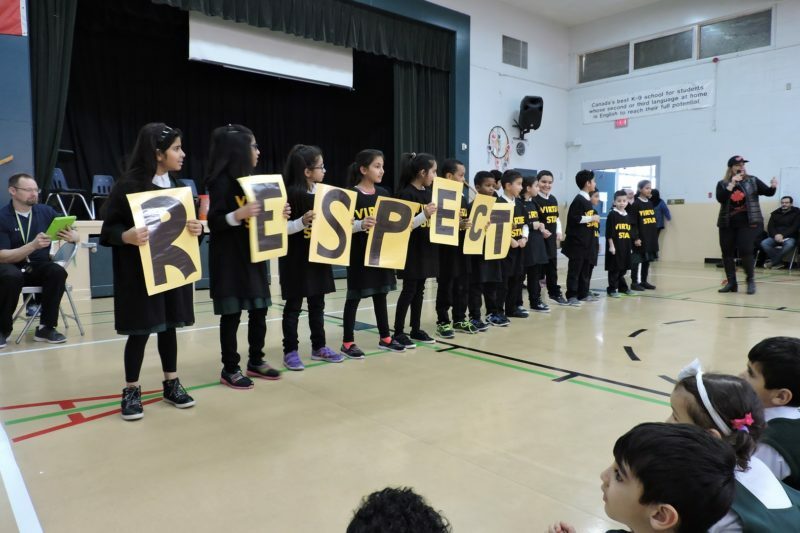 A huge thank you to all the students, teachers, parents, and EAs for making the Respect Assembly a huge success!